Technology giants including Microsoft, Amazon and Yahoo were granted special access to Facebook users' data according to a report from The New York Times. The newspaper said it had obtained hundreds of pages of Facebook documents detailing the arrangements, which involved select companies being given “more intrusive access to users’ personal data” than the social media giant had disclosed. The documents referred to were generated in 2017 by a Facebook system used to track partnerships. “Facebook allowed Microsoft’s Bing search engine to see the names of virtually all Facebook users’ friends without consent, the records show, and gave Netflix and Spotify the ability to read Facebook users’ private messages,” said The Times report. The report said that more than 150 companies benefited from the agreements, which dated back as far as 2010 and remained active as of 2017. Facebook’s director of privacy and public policy, Steve Satterfield, told the paper that “none of the partnerships violated users’ privacy or the F.T.C. [US Federal Trade Commission] agreement. Contracts required the companies to abide by Facebook policies”. Facebook has a consent agreement with the US FTC intended to help protect the privacy of the company’s social network. Satterfield said that the partnerships did not violate the agreement because Facebook viewed the partners as “extensions of itself” and so did not require users’ consent before sharing data. The service providers allowed users to interact with their friends on the service, and the companies were not allowed to use the personal information for other purposes, he said. The Times reported that Spotify, Netflix and the Royal Bank of Canada were given access to read, write and delete user's private messages. Facebook acknowledged that it did not consider any of the three to be service providers. Spokespeople for Spotify and Netflix told The Times those companies were unaware of the broad powers Facebook had granted them, while a Royal Bank of Canada spokesman disputed that the bank had any such access. "Over the years we have tried various ways to make Netflix more social," a Netflix spokesperson explained. "One example of this was a feature we launched in 2014 that enabled members to recommend TV shows and movies to their Facebook friends via Messenger or Netflix. "It was never that popular so we shut the feature down in 2015. At no time did we access people’s private messages on Facebook, or ask for the ability to do so." Facebook’s attitude to privacy has come under the microscope, particularly in the wake of the Cambridge Analytica controversy. On 20 March, the Office of the Australian Information Commissioner said it was making inquiries with Facebook to ascertain whether any personal information of Australians was involved in the data debacle that saw the personal information of up to 87 million users potentially “improperly shared” with the (now-defunct) UK-based political consultancy. In April, after it was revealed that data of 311,127 Australian Facebook users may have been used without authorisation, the acting Australian Information Commissioner and acting Privacy Commissioner, Angelene Falk, opened a formal investigation into Facebook (Falk was confirmed in her role in August). At the beginning of December, Reuters reported that Facebook had given some companies, including Netflix and Airbnb, preferential access to user data in 2015 as it limited services for most others, according to company emails and presentations released by a British lawmaker. 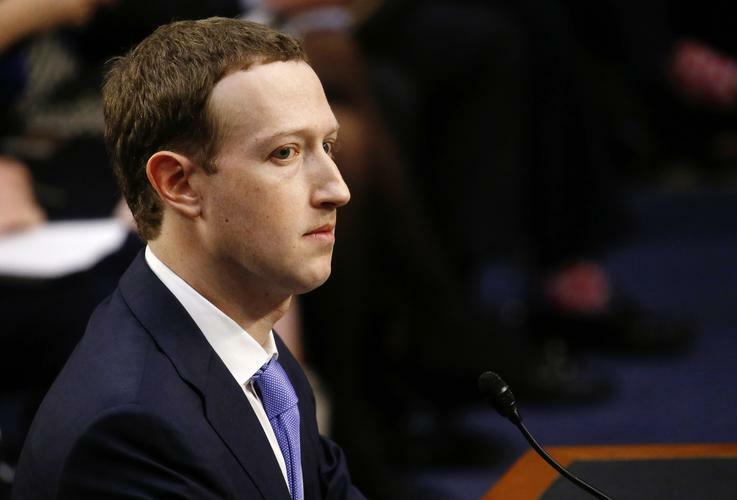 The news service said that 223 pages of communication from 2012 to 2015 between high-level Facebook employees, including CEO Mark Zuckerberg, revealed that the company had debated generating revenue by selling access to data, as well as prepared to deal with any potential fallout as it sought to capture more user data. In Australia, the social media company’s market power has also come under scrutiny in the form of an inquiry by the competition regulator. The Australian Competition and Consumer Commission (ACCC) earlier this month released a preliminary report analysing the impact on the media sector of Facebook and Google, concluding that both have “substantial market power” in some areas. Facebook and Instagram together have the largest audience in Australia of any social media platform, the ACCC said. Between them, the two capture 46 per cent of Australian display advertising revenue. No other website or application has more than five per cent market share, the commission said in its preliminary report. The ACCC said that as a result of its inquiry into digital platforms it has initiated five investigations relating to Google and Facebook.